Dailybuzz.ch: WHO WOULD HAVE THOUGHT IT WAS YOU!! DID HE GO TOO FAR? WHO WOULD HAVE THOUGHT IT WAS YOU!! DID HE GO TOO FAR? 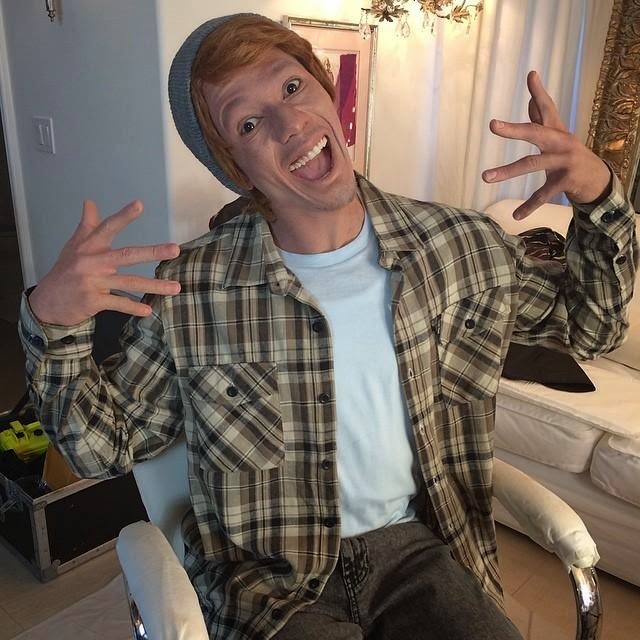 Nick Cannon, is that you? The rapper took to Instagram on Sunday to promote his new album, White People Party Music and to share a picture of himself as his alter ego, "Connor Smallnut." He posted the snap with a long list of hashtags — "#DogKissing #BeerPong #FarmersMarkets #FistPumping #CreamCheeseEating #RacialDraft" — and followed up with a series of tweets and videos after his picture sparked some debate. Nick retweeted several supportive comments from fans then posted a picture of Robert Downey Jr. in Tropic Thunder, giving a nod to another character that involved some heavy makeup.